These words raised one of powerful and influential nations in the history of mankind – USA. The Declaration of Independence was signed in Philadelphia by several members of Congress, on July 4th, 1776, including Benjamin Franklin. He was a co-author of this document and an important American. 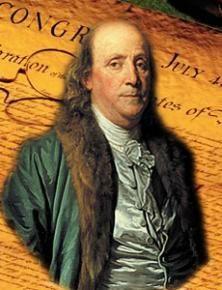 Franklin is considered today as the first American and the last universal genius. You’ll understand why, with this work.